Now THAT is a headline I love to read, especially since I was the Listing Agent of the patio home that made this statement true. On June 1, 2012 this four bedroom, three bathroom patio home in Braemar hit the market priced at $299,000. While beautifully updated with new hardwood flooring in the living and dining rooms, new ceramic tile flooring in the kitchen and foyer and new carpet on the stairs and in the bedrooms…there was some hesitation that this may have been a tad high of a list price. Only time would tell. If you are overpriced the market has a way of telling with you no buyers walking through your home or buyers touring and no offers coming from any of them. On June 8th, after one week and a day on the market, a Buyer made an offer. Sellers got their home of choice contingency and a post settlement occupancy agreement. Buyer got $6789 in closing cost help. The home went to settlement on July 27, 2012 for $300,000. That’s the first time a Braemar patio home sale has started with a three since November 9, 2007. If you are thinking of selling your Braemar home, give me a call. I’ve been a Braemar home owner and full-time Bristow Real Estate Agent since 2005. No one knows Braemar better! Having seen a lot of activity with my own Braemar townhouse listings recently, I know that this Braemar Townhouse Report is going to be one with good news. When reporting sales activity for Braemar townhouses we’ll divide sales into two categories: Townhouses with No Garage and Garage Townhouses. To start, Townhouses with No Garage saw eight sales in the last two months. The highest sales price was $260,000. The lowest sales price was $210,000. The average of all eight sales gives us our new average market value for Townhouses with No Garage of $228,357. That’s down just over 1.5% since last report, but up nearly 13% since last year. 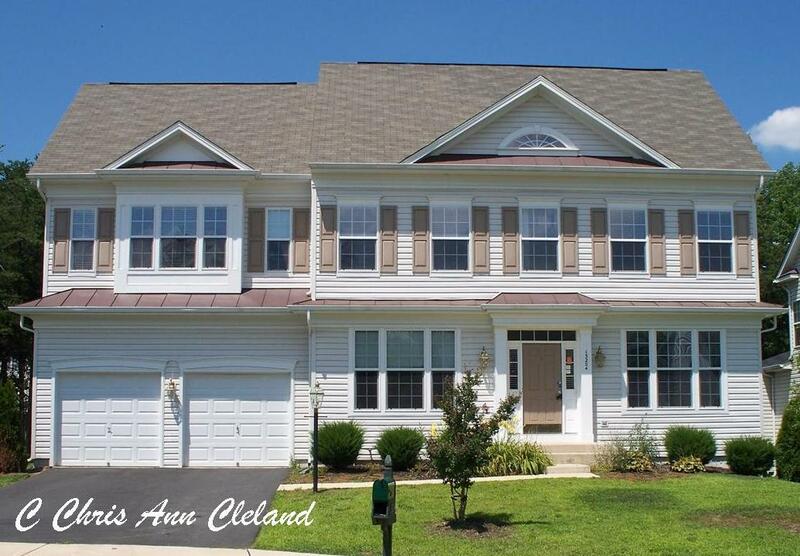 If you placed your Braemar Townhouse with No Garage on the market, priced to current market conditions, you could expect it to be under contract in an average of just under two weeks. You could also expect a buyer to ask for an average of just under 2% of the sales price in closing cost assistance. Garage Townhouses saw four sales in the last two months. The high sales price was $275,000. The low sales price was $265,000. The average of all four sales gives us our new average market value for Garage Townhouses of $269,325. That’s slightly more than a 1% increase since last report and well over a 20% increase since last year. 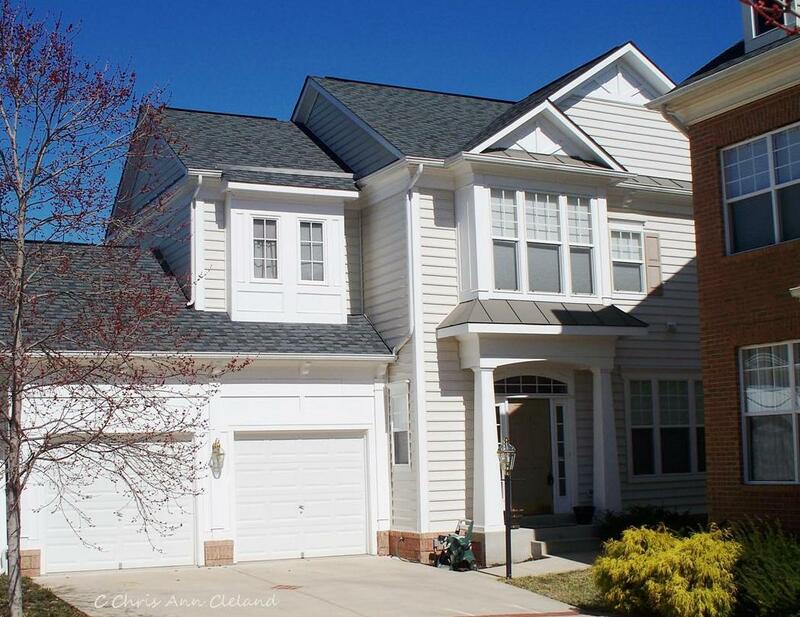 If you placed your Braemar Garage Townhouse on the market, priced to current market conditions, you could expect it to be under contract in under two weeks. You could expect a buyer to ask for an average of over 1.5% of the sales price in closing cost assistance. The state of the Braemar Townhouse market is definitely strong. And values continue to improve. If you think you may want to investigate selling your Braemar townhouse, give me a call for a free market analysis of your specific home’s value in today’s market. I’ve been a Braemar resident and full-time Bristow Real Estate Agent since 2005. I added the distinction of being a Short Sale Agent in 2007 to my resume. No matter what your equity position, I can get your Braemar townhouse sold for the maximum amount of money, in the shortest period of time. No one knows Braemar better! 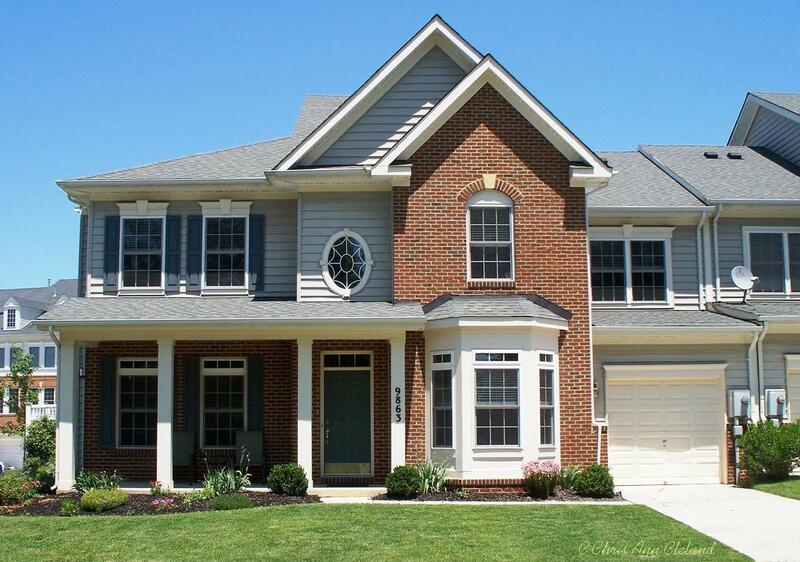 It seems that I have shown more Yardley model homes in Braemar, than any other style since the beginning of 2012. There is no doubt that the Heritage Series homes in Braemar are among the best sellers, and the Yardley was the most popular model chosen by the builders. 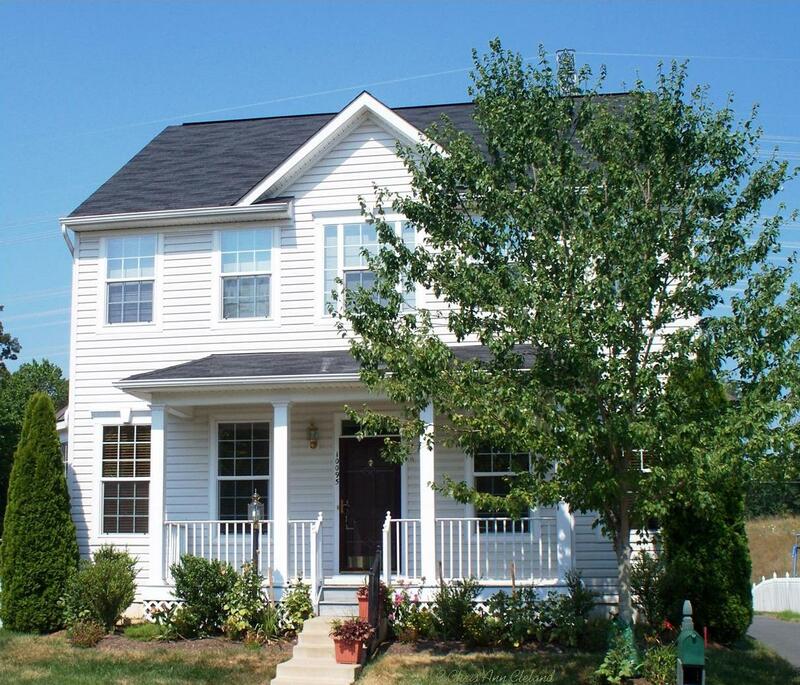 (Heritage Series homes are mid-sized single family homes with two car attached garages including the following floor plans: Exeter, Yardley, Zachery & Waverly.) With May and June behind us, let’s take a look at what happened to sales in the Heritage Series. There were three sales of Heritage Series homes in Braemar. All three were Yardleys. The high sales price was $437,500 and the low sales price was $402,150. The average of all three sales gives us our new average market value for Braemar Heritage Series homes of $423,217. That’s up over 19% since last report and up nearly 23% since last year. The major difference between last report’s sales and this report’s was the size of the homes. These homes had more bedrooms and bathrooms, so that immediate pop up in average’s is not what you should expect your particular home’s value to have done. If you placed your Yardley, Zachery, Waverly or Exeter on the market, priced to current market conditions, you could expect it to be under contract in just over one week. You could also expect a buyer to ask for an average of over 1.5% of the sales price in closing cost help. The next Braemar Property Value Report will be out in September and will detail sales from the months of July and August. Until, please enjoy your summer. Of course, if you are interested in selling your Braemar home, call me for a free market analysis of your specific home’s value. I’ve been a Braemar resident and full-time Bristow Real Estate Agent since 2005. In 2007 I added the distinction of being a Short Sale Agent to my resume. No matter what your equity I can help you get your Braemar home sold quickly and for the maximum amount of money. And remember, no one knows Braemar better! Summer is a great time to be able to call Braemar home. With access to two outdoor pools, multiple tennis and basketball courts and walking trails, there is always something to do. And those pools do help Braemar residents beat the heat. Just like last report, we had three sales of Braemar Courtyard homes that we can report for this property value cycle: two Ballstons and one Arlington. The high sales price was $350,000 and the low sales price wsa $335,000. The average of all three sales gives us our new average market value for Braemar Courtyard homes of $343,833. That’s an increase just over 2.5% since last report and over a 7% increase since last year. This is great news for Braemar Courtyard home owners. Not only are average sales prices on the rise, but the homes are selling. 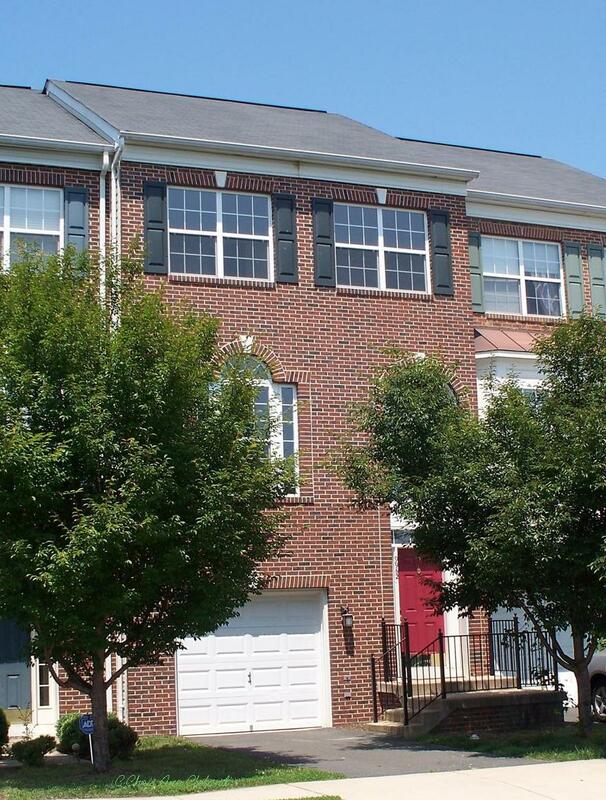 We tend to see droughts of activity with Braemar Courtyard homes, but not recently. If you placed your Braemar Courtyard home on the market, priced to current market conditions, you could expect your home to be under contract in just about three weeks. You could also expect a buyer to ask for an average of just under 2% in closing cost help. The next Braemar Property Value Report will be out in September and will detail sales from July and August. Until then, stay cool and enjoy your summer. And if you are thinking of selling your Braemar home, give me a call for a free market analysis. I’ve been a Braemar resident and full-time Bristow Real Estate Agent since 2005. In 2007, I added the distinction of being a Short Sale Agent to my resume. No matter what your equity position, I can get your Braemar home sold as fast as possible, and for the most amount of money. And remember, no one knows Braemar better! No matter what the season, the carriage homes in Braemar always seem to catch my eye. Especially the ones with the covered front porches. And they clearly catch the eyes of Bristow buyers because there has only been one two month period since the middle of 2005 when I started this report when no carriage homes sold. A Braemar Carriage home is characterized by the lack of attached garage, but rather a detached garage. Not all Carriage homes opted for the garage, so some have a paved parking pad in the rear of the home. The models, from smallest to largest are Maplewood, Norwood, Oakdale and Parkdale. For this installment of the Braemar Property Value Report, we saw four sales. Three were Maplewoods, one was an Oakdale. The high sale price was $365,000. The low sale price was $295,000. The average of all four sales was $327,500. While we have no way to know how it compares to last report since there were no sales, this does mean over a 5% increase since last year. If you placed your Braemar Carriage home on the market, priced to current market conditions, you could expect it to be under contract in just over three weeks. You could also expect a buyer to ask for an average of nearly 1.5% in closing cost help. This is a great opportunity! As a Parkdale floor plan, this home is the largest among the carriage homes built in Braemar by Brookfield Homes. 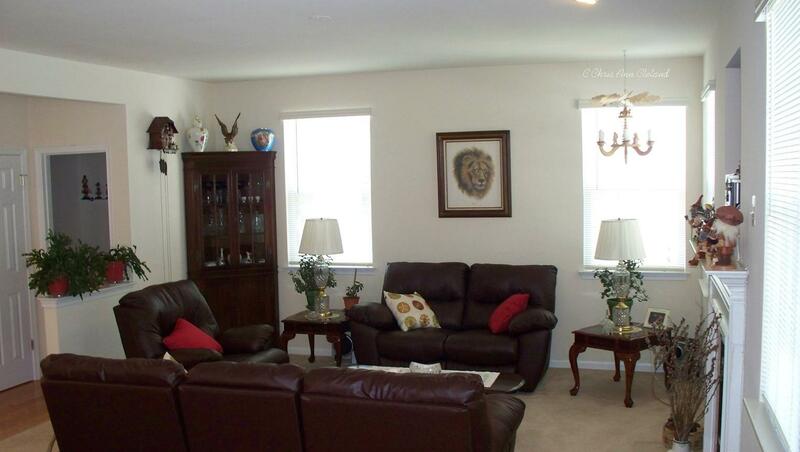 All four bedrooms are on the upper level. Master Suite has separate soaking tub and stall shower, along with dual sinks/vanity. Remaining three bedrooms have hallway access to the second full bathroom. The main level has its formal and informal areas. Formal living and dining rooms flank the foyer. Each is a made bit more sophisticated with a bay window. Formal dining room has access to kitchen through the Butler’s pantry, which is directly across from the laundry room. 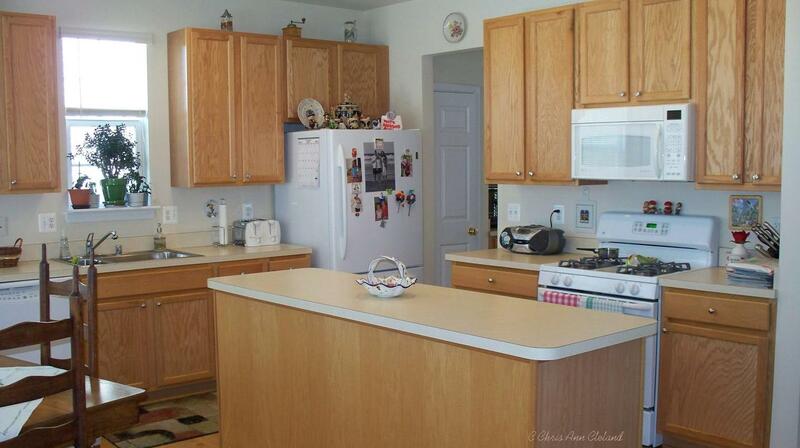 The kitchen has a breakfast nook and plenty of counter and cabinet space with its large island. The whole area is open to the family room, which sports a gas fireplace. There’s also a powder room on the main level. You will find the recreation room in the basement, along with a den and another full bathroom. The basement does have a walk up exit. 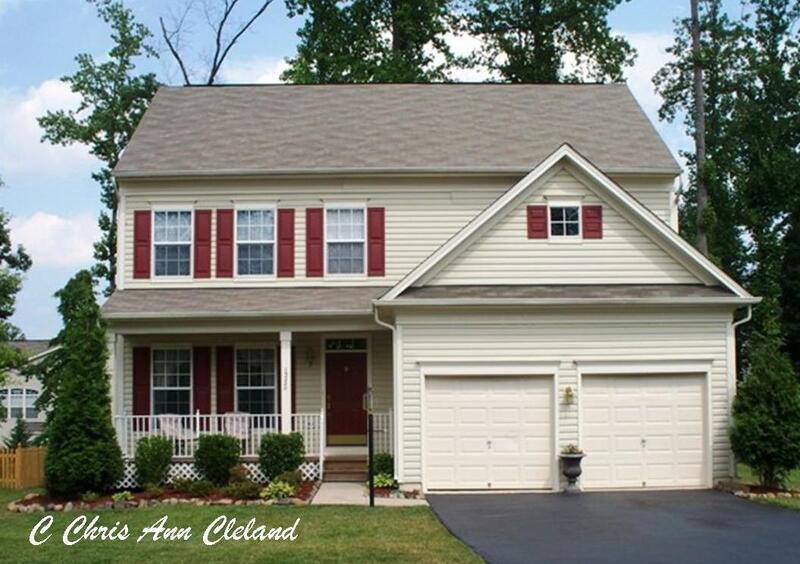 Outside is a detached two car garage, accessed by a private driveway off of the main road. The HOA fees for this carriage home covers the Braemar community amenities, along with basic cable and Internet service through RCN. Community amenities include two outdoor pools, multiple tennis & basketball courts, playgrounds and walking trails. As a Short Sale, a buyer will have to wait about thirty to forty-five days for bank approval. If you are interested in seeing this one for yourself, call for a tour. FYI: Arista Series homes are the large single family homes built by Brookfield Homes and include the Allister, Buckingham and Canterbury floor plans. First of all, we actually HAVE a sale to report for the Arista Series. Last reporting period, there had been none. This time around, with only one resale, it’s sales price is what we will report as the average. That is going to skew things high this report, so don’t get excited. That Canterbury had five bedrooms and five and a half bathrooms. It even had a fully finished basement. It listed for an aggressive $539,900, but sold for $516,500. While we have no comparison for last report, this is an increase in average market value of over 20% year to year. I’m sure when we see more sales next report, this increase will be drastically reduced. If you placed your Canterbury, Buckingham or Allister model home on the market, priced to current market conditions, this report indicates that you could expect your home to be under contract in forty days. You could also expect a buyer to ask for an average of just over 2% of the sales price in closing cost help. The next Braemar Property Value Report will be out in September and will focus on sales from the months of July and August. Hopefully we’ll be seeing more reasonable temperatures at that time. Until then, if you are thinking of selling your Allister, Buckingham or Canterbury home in Braemar, call me for a free market analysis of your home’s specific worth in today’s market. I’ve been a Braemar resident and full-time Bristow Real Estate Agent since 2005. I’ve also been a Short Sale Agent since 2007. I know the local market and how your home fits into it. No one knows Braemar better!